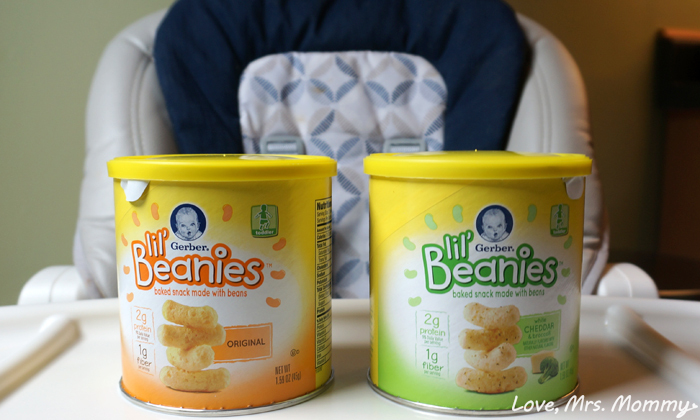 Love, Mrs. Mommy: Gerber Lil’ Beanies A Yummy Wholesome Snack For Your Toddler! Gerber Lil’ Beanies A Yummy Wholesome Snack For Your Toddler! Gerber® Lil' Beanies™ Original & White Cheddar & Broccoli Baked Snack Made With Beans. With all the growth spurts our little ones go through, it is important to make sure they are well-nourished. My daughter has always been a big fan of the Gerber line. 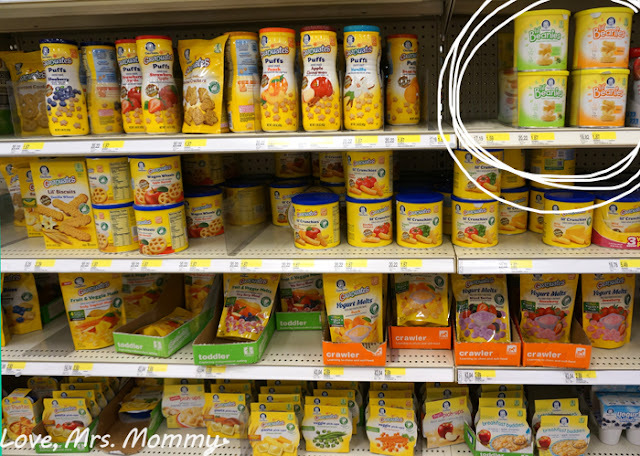 In fact, we tried a number of other baby food brands when she was just an itty bitty thing and nothing passed her taste-test, except Gerber. 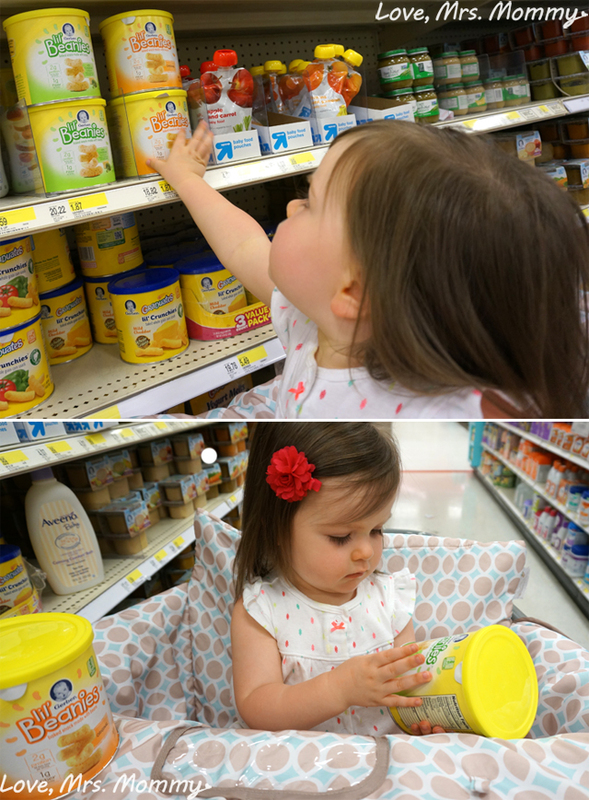 Ever since, they have been our go-to source and we couldn’t be happier with all the variety they offer little ones. I am super excited about their brand new Lil' Beanies™ line and I have partnered with Linqia to tell you all about these yummy snacks. 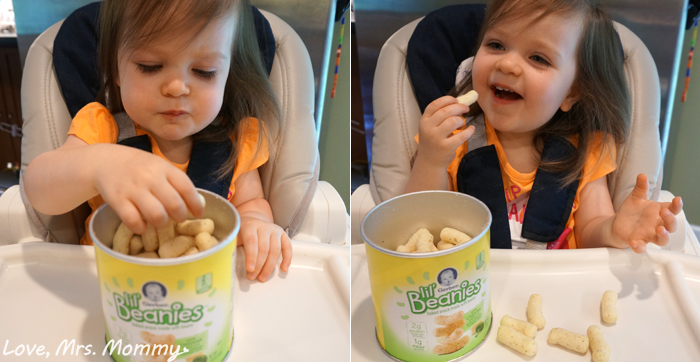 Gerber® Lil' Beanies™ snack is made with navy beans. This is really great because navy beans have a mild flavor so even if your kids aren’t the biggest bean fans, no worries! Navy beans also provide a good source of protein, which is great for those growth spurts. Both flavors contains 2g of protein (9% daily value per serving) / 1g of fiber (per serving) and 10% daily value of Vitamin E per serving. My daughter couldn’t wait to get her hands on these new snacks! Even in the store she kept asking me to open them, hehe. Even though it was tempting to give them a try right there, I decided it would be better to wait till we were home. First she tried the Original flavor and in they went with a smile on her face! Right off-the-bat my daughter loved them! These snacks were a complete success! There was no coaxing or multiple attempts to get her to like them. Score! Next, she tried the White Cheddar & Broccoli. I wasn’t sure if she was going to like these as much, but I actually think she liked them even more! If that’s possible! Seeing how much she enjoyed eating these snacks, I had to give them a try myself. All I can say is Wow, these ARE nice, bite-sized tasty little treats! I can totally see why she liked them. They are yummy, but mild and have a nice crunch when you bite into them. Which, for little kids, makes eating a little more fun. These yummy snacks are Non-GMO (not made with genetically engineered ingredients) and there aren’t any artificial flavors, colors or preservatives! I love it, way to go Gerber! You always know exactly what us parents want. Don't forget to pick up these yummy snacks the next time you visit your local Target store! These snacks look yummy. I'm sure my daughter would love them. Wish they had these when my other kids were little. Better option Han cheese puffs. These sound great. Will get them for my granddaughter as soon as she can eat them. My grandsons love these. But there's not much they don't like. My daughter loves these snacks. my nieces & nephews will love these. My tot will love this. 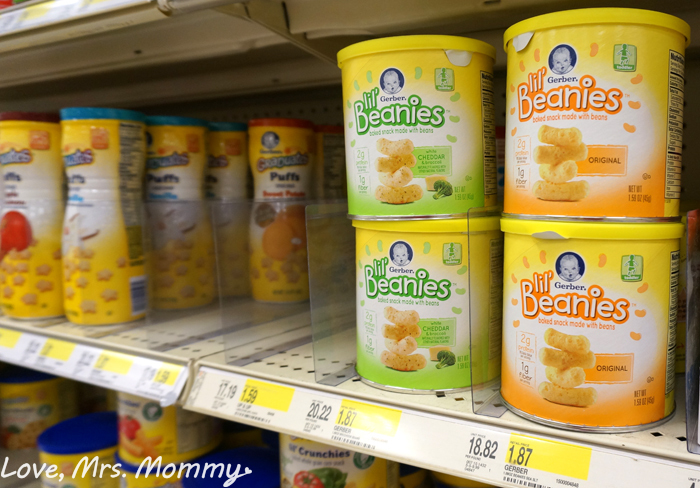 My toddlers and babies always love these special snacks! These snacks look yummy. My niece would love it. This looks very delicious. My niece would love this. My niece's daughter loves these snacks. They seem like a healthy choice too. These sound delish!! They also sound like a snack Id steal from my kiddo lol!! I know my kiddos would have loved these. The youngest two may still eat them for a snack now and then. Your daughter is adorable! I'm shocked you made it home without trying out the treats. My kiddos loved all of the Gerber snacks and insisted on trying them right there in the store. These ones sound like a yummy treat! Great snacks for toddlers if they're hungry. My nieces daughter just loves these snacks. These look great and healthy--my little grandson will love these! My grandson loves these snacks from Target. My youngest grandaughter would love these. I could keep them at my house as a healthy treat when she visits. All of my grandchildren loved these foods. They are so convenient and good. My niece would love these snacks. Great way to introduce new foods and have it be handy also. Wow this is an innovative new product! I have never heard of using navy beans with baby foods. These look actually pretty good. I know I would try one to see what they taste like! It looks like she is sure enjoying them! I have been wondering about these - I take care of 3 infants and I was wondering about putting them on the menu for extra things the children can eat themselves.